Brand Identity Essentials, a book by Peopledesign co-owners Kevin Budelmann and Yang Kim, has been translated into six languages and is available from major booksellers worldwide including Amazon and Apple. Design terms are too often used inconsistently, leading to confusion for designers as well as clients. Contrary to common usage, the words "logo," "identity," and "brand" are not interchangeable. Brand Identity Essentials lays a foundation for brand-building, defining the tools and building blocks, and illustrating the construction of strong brands through examples of world-class design. A one-stop reference for connecting visual design elements for logos to branding concepts. Explores S/M/L (small, medium, and large) dynamics of identity design: graphic identities, identity programs, brand identities. Demonstrates core identity design principles through a clear organizational structure and a variety of sources and examples. Brand Identity Essentials celebrates well-executed brand programs as well as really great marks. I would recommend this book to anyone starting in the field that need a more micro point of view on things, but would not limit myself only to this one. This is perfect when it comes to combining theory and practice (a lot of examples are presented). Every notion is explained in a matter the get a grasp on every step of the branding process. I am a graphic design student just wrapping up my college career, looking to jump right into the world of brand identity. Brand Identity Essentials is a great book for students like me who need to build a vocabulary of design, going into the working world. This book not only puts into words many of the principles I’ve learned throughout my college career, but also teaches me new things. The visual examples are stunning and get the concepts across strong and clear for a visual thinker like me. A bit different than I expected, although very useful. There's a lot more graphical examples that I was expecting and less text based details. It's great still, I've started using it and know I will get a whole lot of benefit from it. It's worth the money. Great buy for a designer or someone just wanting to learn more about branding consistency across social, web, and the overall company branding structure. For the aspiring designer, this book provides a great foundation on brand identity and basic branding. It covers a variety of areas, including imagery, typography, color and symbols. Using this book as a starting point, designers can learn how to successfully use these principles (or even bend them) in order to create compelling brands that stand the test of time. I definitely recommend this book. I know there is a newer version of this book (that I haven’t seen yet) but I love the way the authors explains in a concrete and professional way all the subjects they consider important to include. I use this book for a logo design class and It really helps envision a greater impact in the brand developing issues. 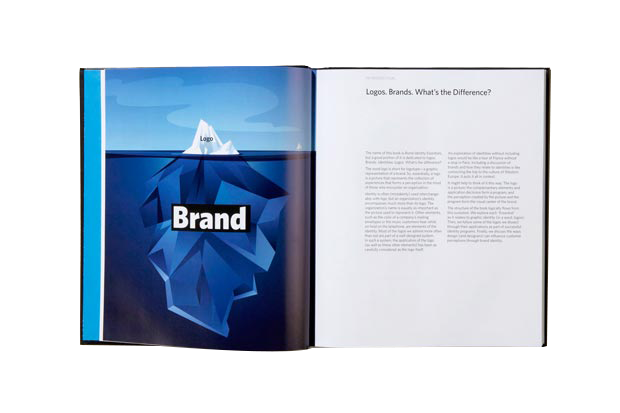 Our book on brand building features principles for creating world-class brands.